Oneshot stencil system is used with stencil machines and is flexible, portable, and convenient. These stencil inks are CONEG certified and SARA compliant and are convenient for remote job sites. Oneshot applicators and ink works great on porous and non-porous surfaces. 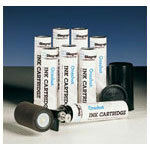 The no-mess durable ink cartridge is fully disposable. 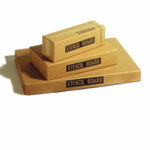 These applicators meet U.S. Government ink specifications. 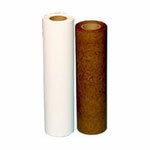 Oneshot stencil ink rollers come with a replaceable neoprene roller and plastic cover. Boatman Marking carries Oneshot kits, assemblies, replacement rolls, and ink for all of your stenciling needs.